The 10 things you should know about 2017 TCS NYC Marathon champion Shalane Flanagan. 1. Flanagan is the first female American NYC champion in 40 years. 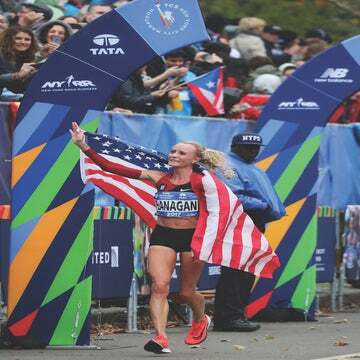 Before Shalane Flanagan won the 2017 TCS NYC Marathon on November 5, the last American woman to win the race was Miki Gorman, a two-time consecutive champion who won in 1976 and 1977. 2. She’s the third fastest U.S. female marathoner of all time. 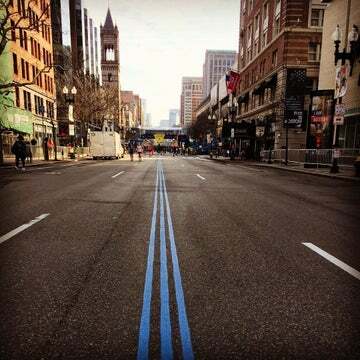 Flanagan’s personal best for the marathon is 2:21:14 (during the Berlin Marathon in 2014). The fastest American woman marathoner is Deena Kastor, whose PB is 2:19:36. Flanagan held the second fastest time until October of 2017, when Jordan Hasay ran the Chicago Marathon and bumped Flanagan’s time down to third with her own time of 2:20:57. Flanagan ran the 2017 TCS NYC Marathon in 2:26:53. 3. Flanagan holds three long-distance running records. Flanagan holds the American record times in the 3000-meter (indoor) race, the 5000-meter (indoor) race and the 15K road race. She also won the bronze medal in the 10,000-meter race in Beijing, China, when she was 27 years old. 4. It took 10 years to turn her bronze medal into a silver! Just a few months ago, Turkish runner Elvan Abeylegesse retroactively failed a doping test on a sample taken at the 2007 World Championships. That brought a two-year ban, and she had to relinquish her results from between 2007 to 2009, which included her silver medal win in the 10,000-meter race. That allowed Flanagan, who had won the bronze, to move up one spot on the podium to receive a silver medal instead, retroactively. 5. She’s truly an “All-American” woman. Flanagan was born in Boulder, Colorado, but she grew up in Marblehead, Massachusetts, where she participated in cross country, swimming, soccer and track. She would go on to attend college at the University of North Carolina, where she would win 2002 and 2003 national cross country titles. She would move to Portland, Oregon, in 2009, where she serves as an assistant cross country coach at Portland State University. 6. Flanagan wrote a best-selling cookbook for athletes. In 2016, Flanagan wrote the cookbook, Run Fast. Eat Slow: Nourishing Recipes For Athletes, which is available on Amazon. With 331 customer reviews–and an amazing five-star rating–it is the best-selling book on Amazon under the “Running and Jogging” category. 7. This could be Flanagan’s last march! On Saturday, FLoTrack posted an interview with Flanagan where she said she thinks she’d retire if she won Sunday’s race. Now that she won, she’ll have to make that decision–but big endorsements are sure to come, which means the 36-year-old might get talked into running a little longer. 8. She’s a foster parent. Just over one year ago, Flanagan and her husband welcomed twin teenagers into their home–both of whom happen to be competitive track athletes themselves. “It has been one of the more rewarding and challenging adventures that I’ve taken on,” Flanagan said of foster parenthood last month. 9. Before NYC, Flanagan hadn’t run a marathon since the 2016 Summer Olympics. After competing in the marathon at the 2016 Summer Olympics in Rio, Flanagan suffered a lower back injury and had to take most of 2017 off to recuperate. Her run in New York City on November 5 was the first time she’d competed a marathon distance race in more than a year! 10. …But she has raced NYC before. 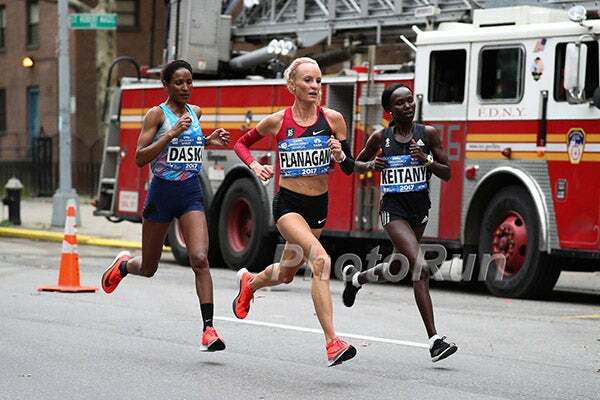 Flanagan’s marathon debut was actually at the NYC Marathon, back in 2010. That year, she placed second. “That race confirmed to me that I could become a great marathoner,” Flanagan has said about her 2010 run. Editor’s Note: Facts 3-7 originally appeared on Competitor.com. Correction: This list initially labeled Flanagan as the second fastest female American marathoner. Jordan Hasay bested Flanagan’s time during her October 2017 run in the Chicago marathon, making Flanagan the third fastest female American marathoner.